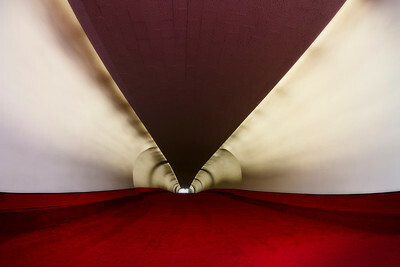 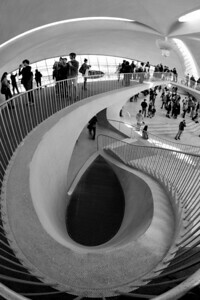 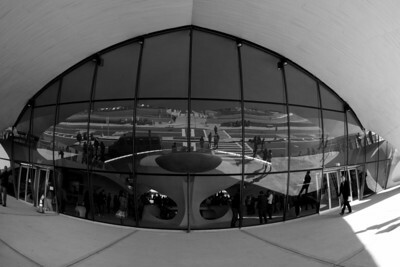 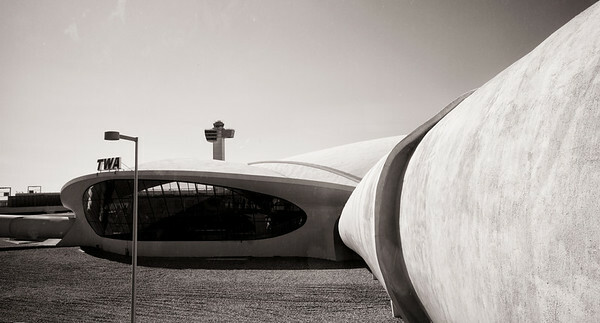 "TWA Flight Center was the original name for the Eero Saarinen designed Terminal 5 at Idlewild Airport — later called John F. Kennedy International Airport — for Trans World Airlines. 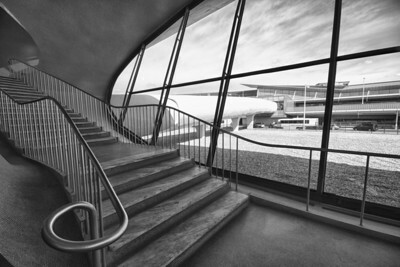 The terminal had a futuristic air; The interior had wide glass windows that opened onto parked TWA jets; departing passengers would walk to planes through round, red-carpeted tubes. 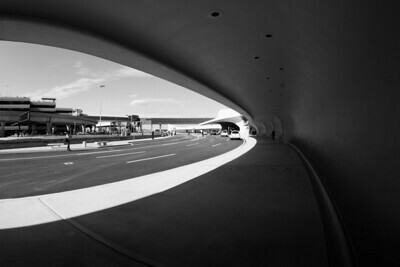 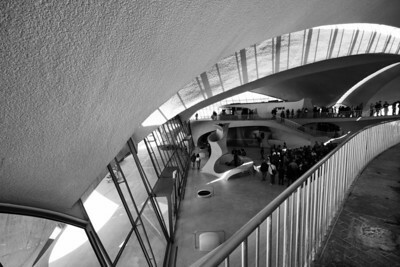 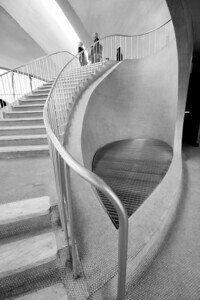 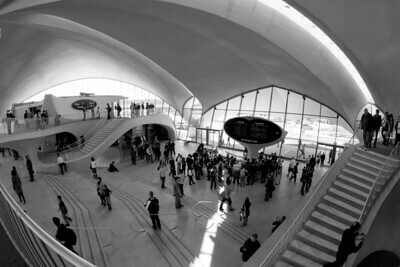 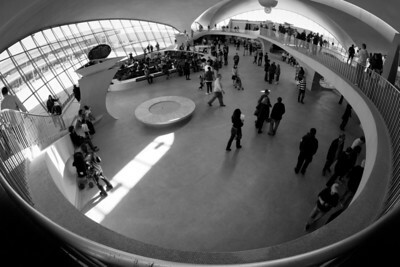 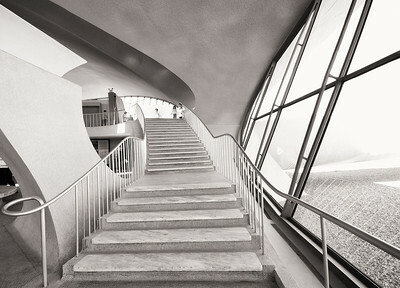 Design of the terminal was awarded to Detroit-based Eero Saarinen and Associates. 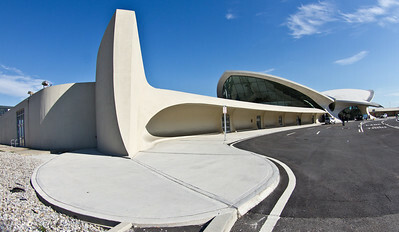 It was completed in 1962 and is the airport's most famous landmark (as well as being a National Historic Landmark). 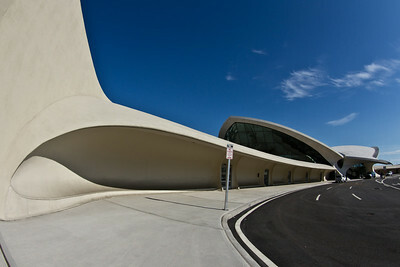 Following American Airlines' buyout of TWA in 2001, Terminal 5 went out of service. 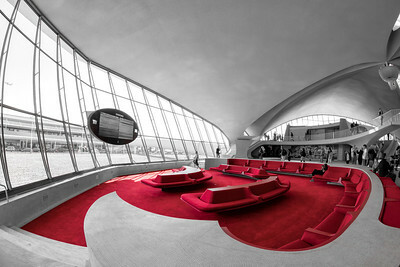 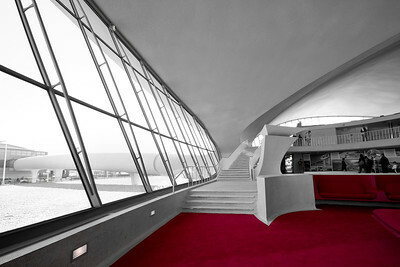 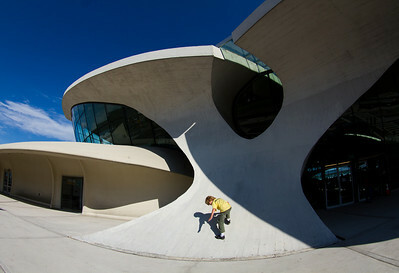 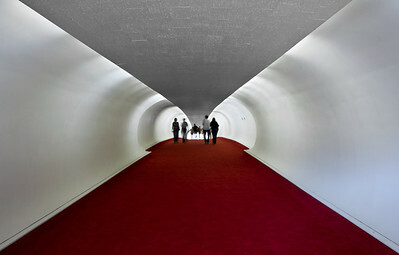 Saarinen's terminal for TWA is sculpted as a symbol of flight ."